Farmhouse Market is a small local & organic foods market that works directly with local farmers and food producers in addition to natural foods distributors to make the good food you want to eat more accessible close to home. Like a year-round, indoor farmers market, Farmhouse Market is open 24/7 to members (and limited hours to the public) through the use of a keycard entry system and a self-checkout. Farmhouse Market is owned and operated by Paul & Kendra Rasmusson, residents of New Prague. Kendra Rasmusson was born and raised in New Prague. As a farmer’s daughter, she has a deep respect for the work that goes into farming and an appreciation for small towns, their culture and the people who choose to live in them. 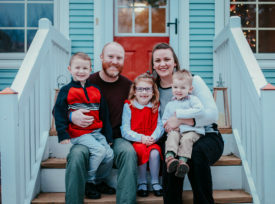 Ultimately Paul & Kendra’s passion behind Farmhouse Market came when their (then) 2-year-old daughter was diagnosed with epilepsy. Knowing that diet alterations can help some battling seizures, they decided they owed it to their daughter – and anyone else seeking health – to make good food available where it wasn’t previously. 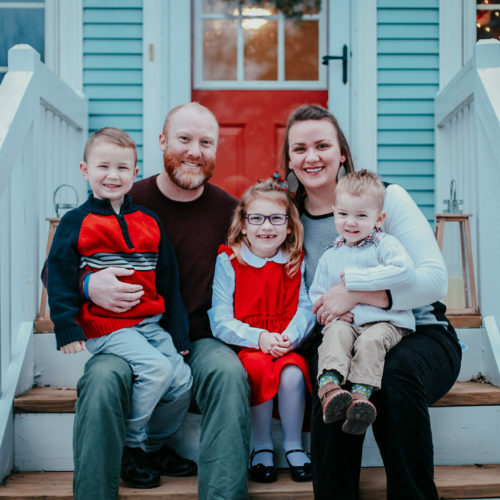 Paul, Kendra and their three children are thoroughly enjoying small town life: baseball games, festivals, local fare and so much more!